Nutrition Maker Online includes twenty-one dietitian designed meal plans in many different calorie ranges, (over 1400 individual plans) so providing healthy plans to your clients is fast and simple. Our meal plans also come with tasty complete with recipes and provide shopping lists to help ensure your clients will enjoy their new healthy lifestyle. Each 14 day plan is designed to be heart healthy and well balanced with a wide variety of foods and recipes to help clients learn to develop healthy eating habits. An excellent starter plan. Balanced with 45-50% carbohydrates, 20-30% protein, and 25-30% fat. Great for dieting, weight gain, and maintenance. Calorie range: 1000, 1200, 1500, 1800, 2000, 2200, 2400, 2600, 2800, and 3200. Ideal for clients needing energy boosts and needing a high level of alertness throughout the day. 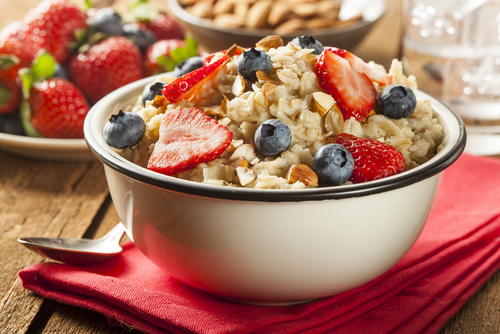 Plans provide more protein early in the day for increased energy and alertness during the morning. 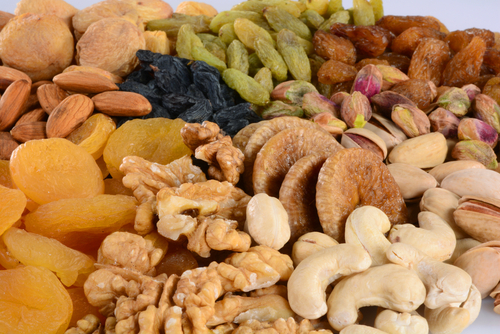 Daily snacks provide energy needed throughout the day and focused attention later in the day. Balanced with 45-55% carbohydrates, 25-30% protein, and 20-25% fat. Calorie ranges: 1000, 1200, 1500, 1800, 2000, 2200, 2400, 2600, 2800, and 3200. Plans designed for runners, bicyclists, skiers, tri-athletes, and other endurance related sports. These programs increase stamina through nutrition by adding extra calories and carbohydrates providing fuel for muscles for intensive exercise. Balanced for the endurance athlete with 55-65% carbohydrates, 15-20% protein, and 20-30% fat. Calorie ranges: 2000, 2300, 2600, 2900, 3200, 3500, 3800, and 4100. Plans contain a variety of lower carbohydrate meal plans with carbohydrates between 40% and 45%. They are perfect for the maintenance portion of most low carbohydrate/sugar diets. 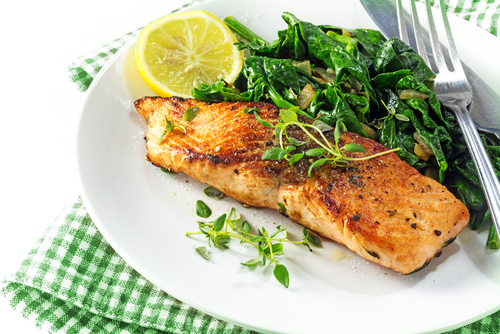 Overall the plans are balanced with 40-45% carbohydrates, 25-30% protein, and 25-35% fat. Calorie ranges: 1000, 1200, 1500, 1800, 2000, 2200, 2400, and 2600. A variety of plans that contain low sodium. These meal plans provide 7 days of quick and easy to follow recipes as well as readily available low sodium products from your local grocery or natural food store. Sodium impacts fluid balance in our bodies. 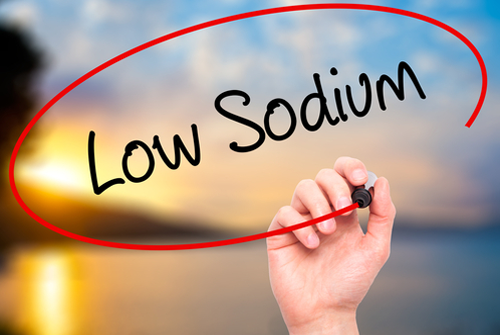 Too much sodium may elevate blood pressure and increase fluid retention. A diet low in sodium is believed to reduce the risk of hypertension and cardiovascular events. Plans are approximately 50% carbohydrate, 20% protein and 30% or less of fat and are high in fiber. All plans are below 1500 mg/day of sodium. Calorie ranges: 1000, 1200, 1500, 1800, 2000, 2200, and 2400. Ideal for clients with lactose intolerance, these plans will reduce or eliminate the gastrointestinal upset associated with the consumption of traditional dairy products. 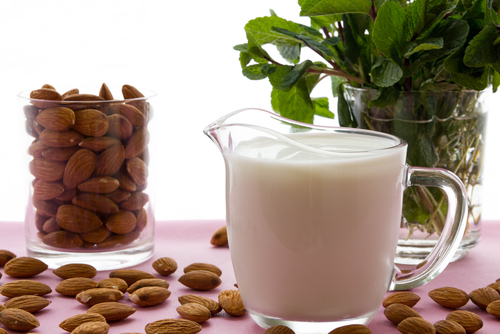 By substituting lactose-free dairy products or omitting dairy altogether, these symptoms may be reduced or eliminated. The lactose free meal plan provides a wide variety of vitamins and minerals, balancing carbohydrate, fat and protein that will keep hunger levels in check all day. The plans provides approximately 50% carbohydrate, 20% protein, 30% of fat and are high in fiber. Calorie ranges: 1000, 1200, 1500, 1800, 2000, 2200, 2400, 2600, and 2800. Plans that contain no gluten and provides 7 days of quick and easy to follow recipes as well as readily available gluten free products from your local grocery or natural food store. One of our more popular plans. Balanced with 50% carbohydrate, 20% protein and 30% or less of fat and are high in fiber. 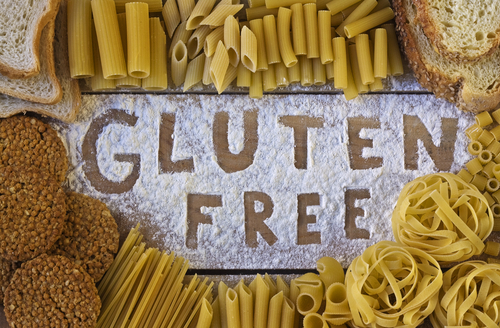 All the items listed can be found as gluten free products, but please check the manufactures label for the item(s) you purchase to ensure it is gluten free. Calorie ranges: 1000, 1200, 1500, 1800, 2000, 2200, 2400, 2600, 2800, and 3200. Detox meal plans place emphasis on whole, minimally processed foods with high fiber content to allow the body to detox naturally. This is one of our more popular dietitian designed meal plans and is a great companion to our Antioxidant plan. This plan is not designed to be used for more than a few weeks at a time. Fasting and colon cleansing are not required for detoxification and may be harmful. This diet can also be used on a gluten free, dairy free diet. It may also be considered FODMAP friendly. 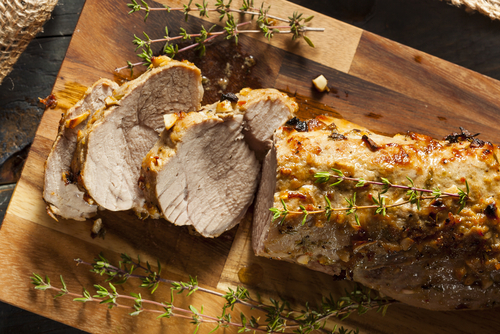 Choose certified organic meats and produce where available. The plans provide approximately 50% carbohydrate, 20% protein, 30% of fat and are high in fiber. Calorie ranges: 1000, 1200, 1500, 1800, 2000, 2200, 2400, 2600, 2800 and 3200. 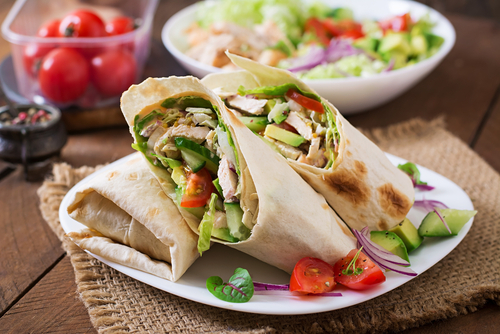 Plans provide meals and snacks high in protein, moderate in fat and lower in carbohydrates. Ideal for fitness enthusiasts for maintaining a lean and fit body when combined with regular exercise. These meal plans may be used for weight loss. Meals and periodic snacks ensure protein is spread throughout the day while providing carbohydrates to fuel workouts. 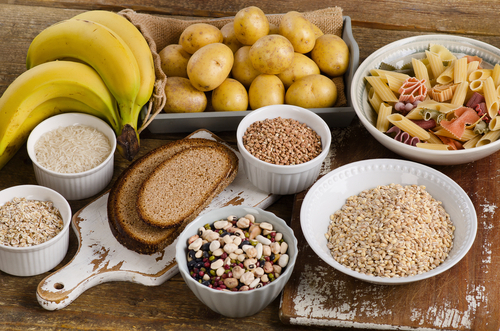 Carbohydrate sources are whole grain and fiber rich. Balanced with 30-35% protein, 30% fat and 35-40% carbohydrates. Calorie ranges: 1800, 2000, 2200, 2400, 2600, 2800, 3200, 3500, 3800, and 4100. Plans are focused on high antioxidant fruits and vegetables. Antioxidants are naturally occurring substances found in plants that reduce free radicals in the body. Diseases such as heart disease, cancer, and premature aging may be influenced by large amounts of free radicals in the body. These plans provide foods high in ORAC values, a measure of absorption capacity of antioxidants. Balanced with 45-55% carbohydrates, 20-30% protein, and 25-30% fat. Calorie ranges: 1000, 1200, 1500, 1800, 2000, 2200, 2 400, 2600, 2800, and 3200. All of professionally made dietitian designed meal plans contain appetizing and easy to follow recipes so your clients can get on track with no problems. One of our most popular plans. Designed for fast and easy to prepare meals, these plans require little time and minimal cooking skills and can quickly create healthy meals. Each plan is designed to be heart healthy and well balanced. Balanced with 45-55% carbohydrates, 20-25% protein, and 25-30% fat. Great for dieting, weight gain, and maintenance. Calorie range: 1000, 1200, 1500, 1800, 2000, 2200, 2400, 2600, 2800, and 3200. Meals in Minutes 1 was so popular we had to create another one. Just like the original, Meals In Minutes 2 contains even more easy to make meals, designed for the person “on the go”. 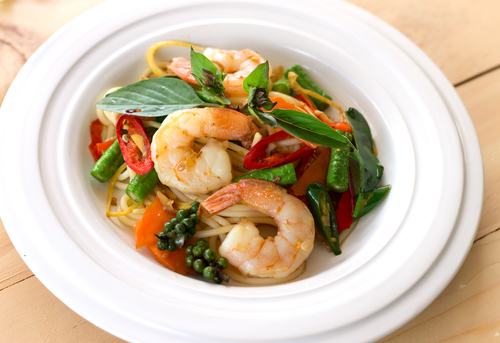 Clients with little time and minimal cooking skills can quickly create healthy meals. Balanced with 45-55% carbohydrates, 20-25% protein, and 25-30% fat. Great for dieting, weight gain, and maintenance. Calorie ranges: 1000, 1200, 1500, 1800, 2000, 2200, 2400, 2600, 2800, and 3200. All of these dietitian designed meal plans are designed for adults 51 years and older and take into consideration the increased needs for Vitamins B6, Folate, and Calcium. 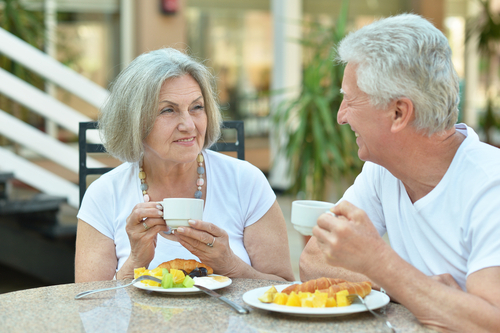 An excellent meal plan package for the dietitian or nutritionist working with older adults. With a large percentage of the population in the senior category, this is a must have plan. Overall the plans are balanced for the mature adult with 50-60% carbohydrates, 20-25% protein, and 20-25% fat. Calorie ranges: 1000, 1200, 1500, 1800, 2000, 2200, 2400, and 2600. With an emphasis on unprocessed foods, this plan is balanced in protein, fat and carbohydrate and includes all food groups and are a great choice for Paleo type plans. The meals are full of fresh fruits, vegetables, nuts and legumes which provide excellent sources of vitamins, minerals and fiber. Dairy provides a good source of calcium, vitamin D and protein. Try using grass fed meat, antibiotic - free chicken and wild fish when possible. The plans provide approximately 40% carbohydrate, 25% protein, 35% of fat and are high in fiber. Calorie ranges: 1000, 1200, 1500, 1800, 2000, 2200, 2400, 2600, 2800 and 3200. A variety of no-cooking required plans. They are flexible, including take out, quick mart and fast food. It is perfect for the client who does not have the time or doesn't want to cook and eats out often. These dietitian designed meal plans are a good balance of protein, carbohydrate and fat and meets the daily requirements for fiber. Balanced with 45-55% carbohydrates, 15-30% protein, and 25-30% fat. This package Calorie ranges: 1000, 1200, 1500, 1800, 2000, 2200, 2400, 2600, 2800, and 3200. 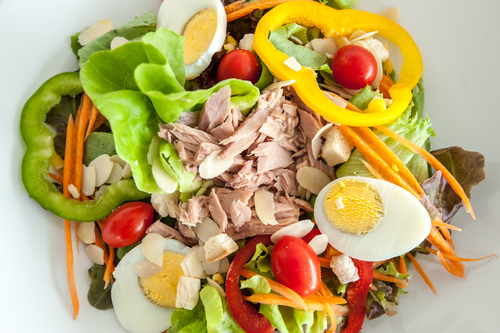 Utilizing our dietitian designed meal plans means you can feel confident that your nutrition consults are providing healthy and tasty options for your clients. Asian meal plans are great change of pace and an introduction to the unique diet of Asian cultures. 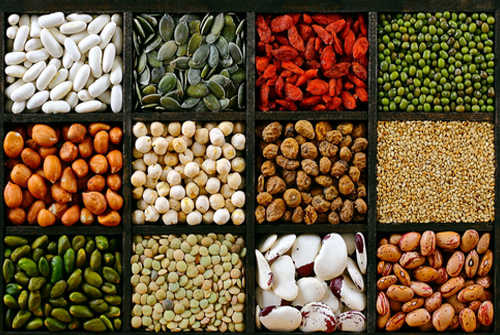 There is a heavy emphasis on whole grains such as rice, legumes such a beans, lean proteins and soy based proteins. 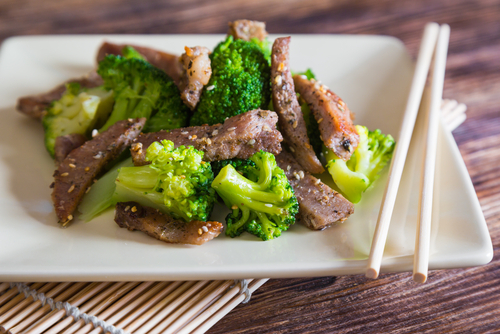 The Asian diet is generally low in saturated fat and cholesterol and high in fiber and has been linked to lower rates of cancer. Plans are approximately 50% carbohydrate, 20% protein, 30% of fat and are high in fiber. Calorie ranges: 1000, 1200, 1500, 1800, 2000, 2200, 2400, 2600, 2800 and 3200. 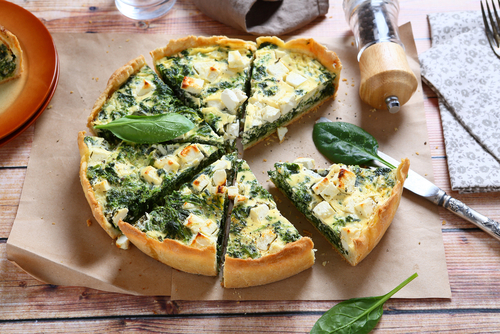 The Italian meal plan is an introduction to a unique style of eating, following the general guidelines and foods commonly eaten in Italian diets. 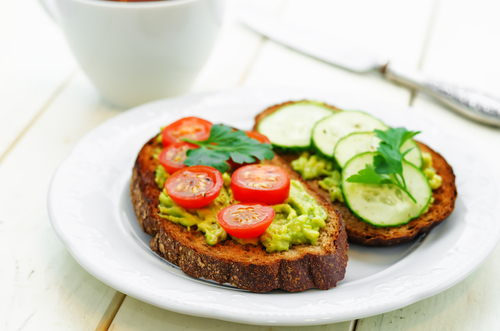 The balances of macronutrients help sustain energy and satisfaction levels throughout the day. 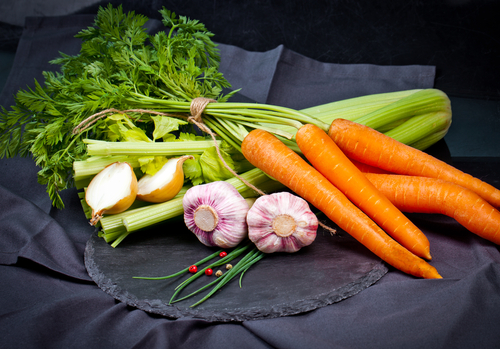 Adequate fiber is provided through fresh fruits and vegetables and flavor is enhanced through the use of spices and herbs. Sweets are part of the traditional Italian diet, both breakfast and throughout the day, so healthy varieties are part of this plan. Plans provide approximately 50% carbohydrate, 20% protein, 30% of fat and are high in fiber. Calorie ranges: 1000, 1200, 1500, 1800, 2000, 2200, 2400, 2600, 2800 and 3200. 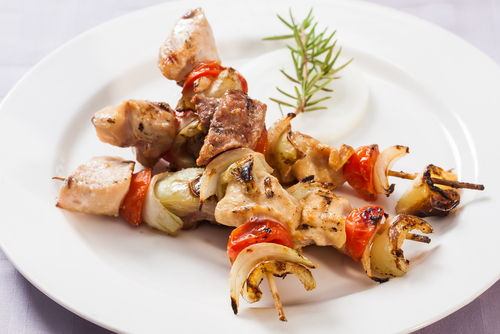 The Mediterranean diet is delicious, healthy and full of fresh fruits, vegetables, nuts and legumes! Studies show that eating a Mediterranean diet may protect against heart disease, metabolic syndrome, obesity, type 2 diabetes, dementia, Alzheimer’s disease and may promote a longer lifespan. 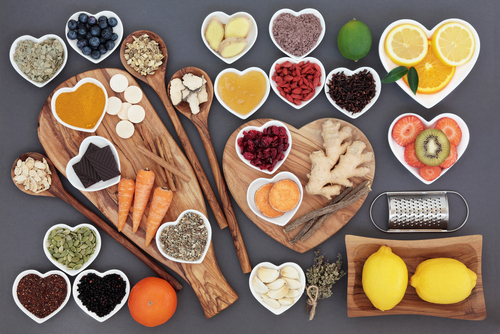 Herbs and spices are used to flavor foods and unsaturated fats such as olive oil replace other unhealthy fats. Less red meat is offered but fish and poultry are eaten weekly. Plans are approximately 50% carbohydrate, 20% protein, 30% fat and high in fiber. Calorie ranges: 1000, 1200, 1500, 1800, 2000, 2200, 2400, 2600, 2800 and 3200. The emphasis of this plan is on healthy Mexican and Southwestern cuisine, a delicious change of pace for any client. 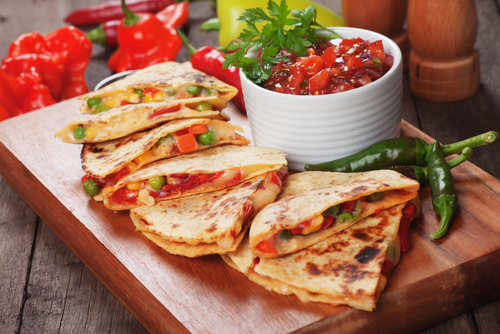 Fat and sodium are reduced compared to typical Mexican fare and calories are balanced between carbohydrate, protein and fat. These delicious dietitian designed meal plans include a flavorful mixture of lean meats, beans, corn, peppers, and cheeses. 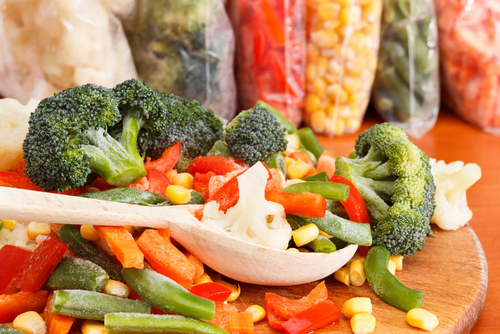 Colorful vegetables, tropical fruits, and zesty salsas also contribute to this delicious and healthy diet. Seasonings such as cumin, garlic, various chili powders, cilantro and lime juice accentuate the distinctive freshness of this cuisine. Plans provide approximately 50% carbohydrate, 20% protein, 30% fat and are high in fiber. Calorie ranges: 1000, 1200, 1500, 1800, 2000, 2200, 2400, 2600, 2800 and 3200. Focused on fruits, vegetables, whole grains, nuts and soy products and designed for the Vegan client, these meal plans offer high fiber/low fat choices consistent with the Dietary Guidelines for Americans and American Heart Association guidelines. Balanced with 12-14% protein, 30-32% fat and 54-57% carbohydrates. Calorie ranges: 1000, 1200, 1500, 1800, 2000, 2200, 2400, 2600, 2800 and 3200. Lacto-ovo meal plans with focus on grains, legumes, vegetables, and fruits offering high fiber/low fat choices consistent with the Dietary Guidelines for Americans and American Heart Association guidelines. Ideal for Vegetarian clients or anyone interested in a meat free diet. Balanced with 50-55% carbohydrates, 15-20% protein, and 25-30% fat. Calorie ranges: 1000, 1200, 1500, 1800, 2000, 2200, 2400, and 2600. While Nutrition Maker online includes all these dietitian designed meal plans, you can also copy our plans and edit the copy to have a totally new variation. And of course you can also create your own.